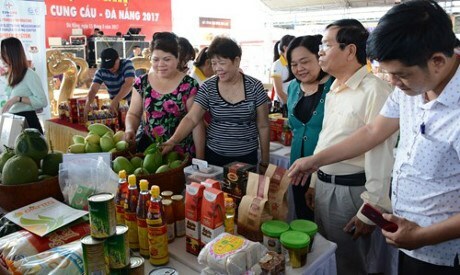 Da Nang (VNA) – The East-West Economic Corridor (EWEC) International Trade Investment and Tourism Fair kicked off in the central city of Da Nang on August 11. Nearly 200 businesses and organisations from localities nationwide and such foreign countries as South Africa, Thailand, Laos, Cambodia, Myanmar, Hungary and Indonesia are showcasing their products and services in the fields of electricity, electronics, information technology, furniture, interior décor, handicrafts, hotels and restaurants at nearly 350 booths. A workshop on cooperation and the development of services on the EWEC and art performances will take place during the six-day event. Memoranda of Understanding on cooperation between businesses are also expected to be signed within the framework of the fair. Vice Chairman of the municipal People’s Committee Tran Van Mien said that the fair offers a chance to promote trade, investment and tourism of the EWEC. It is of significance for participating enterprises to seek partners, develop business and production and promote their products to consumers, he added. The EWEC is an economic development programme initiated to promote the development and integration of four Southeast Asian countries: Myanmar, Thailand, Laos, and Vietnam. The concept was agreed upon in 1998 at the Ministerial Conference of the Greater Mekong Subregion (GMS), organised in Manila, the Philippines. The corridor became operational on December 12, 2006.